Be kind to your servers or they may just decide to slow down and pout. 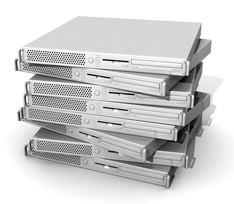 We discovered several years ago that some servers, when placed into racks with extremely noisy fans performed poorly. After a bit of research, we discovered that there is a correlation between drive vibration and degraded performance. There is now a video on YouTube that shows exactly this. An IT "professional" used a program to monitor disk latency and then he yelled at his drives. There was a large, measurable performance drop. This is, of course, an extreme case. It does, however, illustrate a very interesting point: low frequency sound near your hard drives will tend to slow down your computer's performance. The louder the sound, the slower the performance. So do yourself and your company a favor. Treat your servers kindly and, if you must play music, pick some soft, classical or smooth jazz. Your computer will thank you. What is Design and Technology ? Pace Computing provides professional graphic design services for your web site and marketing needs. We offer general design work, business cards, brochures and magazine layouts. We can even help you get your web site ranked higher on search engines through our proprietary Search engine optimization (SEO) services. We also offer technical services from basic home computer repair to advanced network system management with support for all versions of Windows, Linux, DOS, Unix, BSD and Mac. We can handle your wiring needs and we have the ability to design and build your network from the ground up. Microsoft has released Windows 8.1. They have introduced a large amount of new features as well as usability and security improvements. The Windows start button is back, but it doesn’t work the same. Have no fear, you can add the start menu back with either Pokki or Power8. One of the newest, and maybe the coolest, of the latest releases from Microsoft is Office 365. With Windows 8.1 and office 365, you can move your documents, contacts, mail and other files into the cloud. You can share you documents between your devices and between other people. It allows you to work from anywhere, on any device. You can even use office applications to edit cloud documents right through a web browser. With the Office 365 communication and collaboration tools, you can connect to social networking while checking your mail. Your contacts are readily available and you can even hold video conferences while jointly editing documents. What makes Office 365 even cooler is that the people and information you add to the cloud are shared and available across all devices. Searches have been unified and turbo charged. Running a search will perform deep searches of documents as well as other resources, including social networks, contacts, etc. All in all, Office 365 and its Windows 8.1 integration has vastly changed the way we think of computing. Copyright © 1997, 2009 Pace Computing & Design, All Rights Reserved.